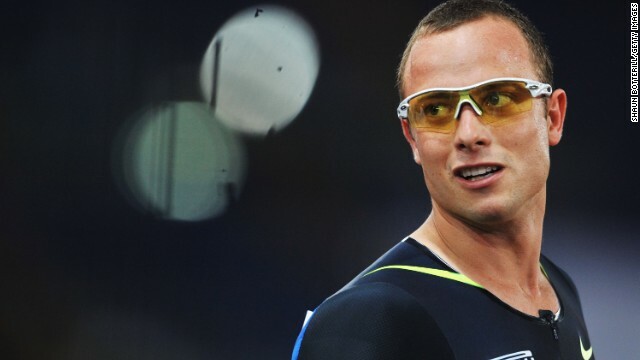 • Oscar Pistorius' girlfriend shot 4 times through bathroom door, official says: "Model Reeva Steenkamp was shot four times through the bathroom door at the home of Olympian Oscar Pistorius, a South African official familiar with the case told CNN on Monday." • President Hugo Chavez announced his return to Venezuela: "President Hugo Chavez announced his return to Venezuela from Cuba early Monday, where he had been undergoing cancer treatment." • Sen. John Barrasso predicts sequester is going to happen: "Republican Sen. John Barrasso said Sunday the country should be prepared for the sequester and its massive spending cuts to kick in next month, despite Democrats' proposal last week to avert it." • 32 days of higher gas prices comes at tough time: "Gas prices have risen for 32 days straight, according to AAA. That means that the average price for a gallon of regular unleaded gasoline has increased more than 13% over that period to $3.73." • Country star Mindy McCready dead of apparent suicide: "On Sunday, McCready, whose turbulent personal life overshadowed her music, was found dead on the front porch of her Arkansas home - the victim, authorities said, of a self-inflicted gunshot wound." it disgusts me this mourning of a loss of a sportstar & not the loss of Reeva Steenkamp – if he wasn't famous – she'd just be another one of the 50 murders per day in South Africa ....really the media has lost a chance to highlight femicide & do something for good ! "Well I had another hard fought battle with Blitz this afternoon, Who do you think won, Pierse? The Gryphon or the Wolfe?" "But Pierse, I did have my Wings??" "What do you say Pierse?? Cicket Bat, and then a Bail hearing is bound to stump the Jury!!" "What with an LBW, and a silly mid-on, I guess it just might be rained-off?" 18 whole comments and its presidents day and once again my wife of 23 years and I went to the local WalMart superstore and all THE AMMUNITION WAS SOLD OUT,,3rd week in a row. Welcome to Georgetown , Kentucky home of the Toyota camry plant and jobs out of our ears. If you don't find a job in 2 weeks here ,,its because you didn't look. It's called a Boom Town,, and Chicago is just a Big City Cesspoool of Criminals who would slap you silly across the face with a pistol if you offered them AN HONESt JOB. The Scott County Jail here is 357.56 miles from the Chicago Police Station. MAPQUEST. who are you to tell us we don't know how to shoot?? Generation after Generation after Generation we are taught to be strong and have enough good sense to realize calling 911 is more times than not the FINAL MISTAKE when facing a threat against your life. Its all too obvious. I'll 2nd Larry Pratts comment . "You are from another Planet Mr Morgan". hey now you have 19 whole comments,,,,,,, ha ha ha ha ha ha NRA! MapQuest provides some extent of street-level detail and/or driving directions for a variety of countries. Users can check if their country is available via a pull down menu on the MapQuest home page. A MapQuest-branded Yellow Pages service is provided by AOL. Other services include a world atlas and MapQuest Mobile. MapQuest Mobile is a service providing maps and driving directions to any Web-enabled mobile phone or personal digital assistant.,.. *"